Partners: Piccolo Antonio, Sorrentino Odoardo. 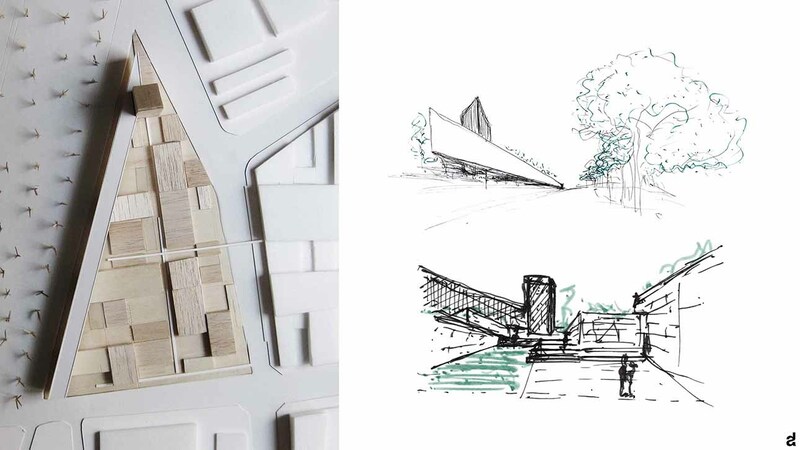 The project is part of an urban setting with a high social character. The close correlation with the park La Sagrera present in the western part places the area of intervention in a key position and strategic compared to the multitude of streams that are concentrated near the site. 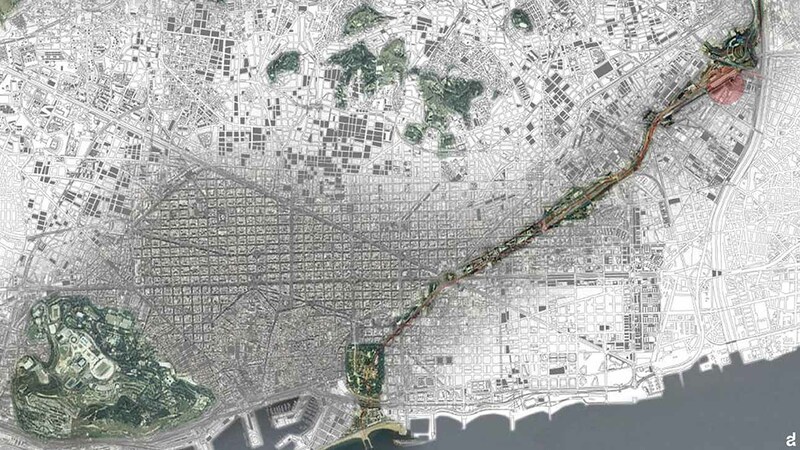 The park becomes a central element in the project, because its linear structure connects in the south, with the Sant Andreu district of Barcelona city center, while in the northern part extends into the Trinitat Vella Park being extended down to the banks of the river Besòs. 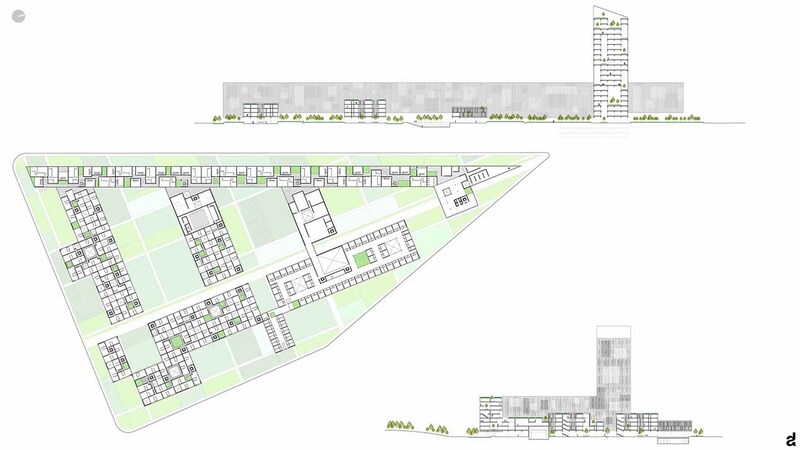 To the east and south-east of the lot there is a large industrial area, which, in an urban context in which they are not identifiable details and relevant architectural features, results to be, in our opinion, the only system with well-defined characteristics and recognizable. 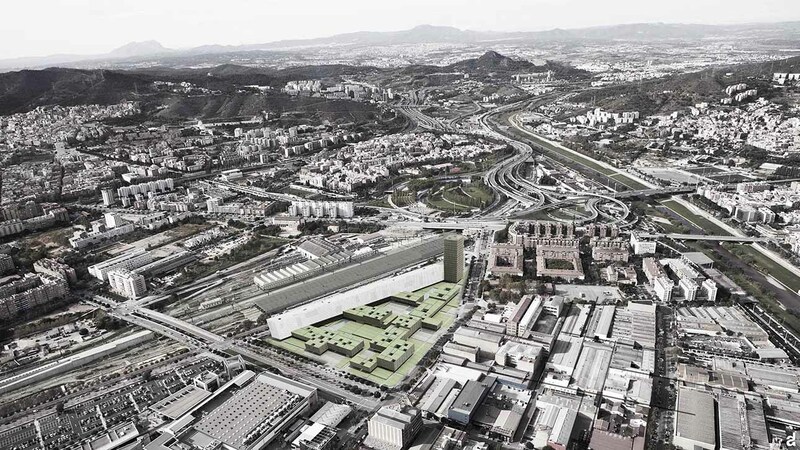 In fact, in an attempt to create a connection to urban and architectural relationship with this area, the tracks of the factories are prolonged until the batch of project they construct the basic framework on which they are born of the terraces of different heights, which sometimes contain gardens or gardens, sometimes paved squares with pools of water, and still others the buildings themselves. 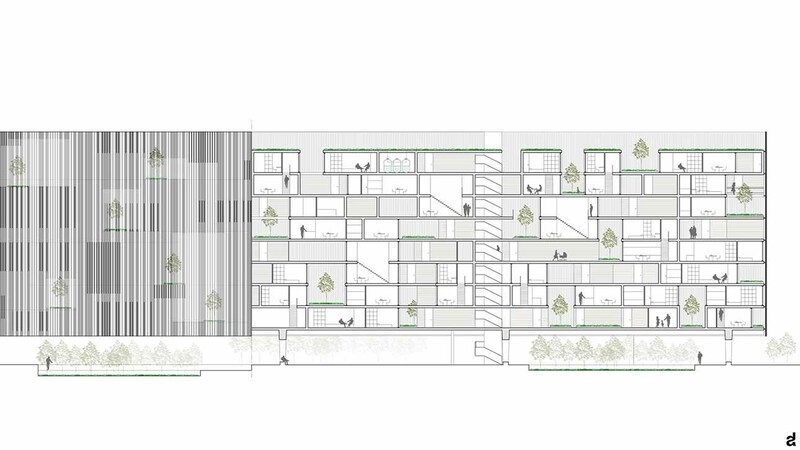 In the inner part of the lot, in this game of offsets of shares, are the architectures of the social-housing-essential (45 square meters), the nursing home for the elderly and office tower in the north. 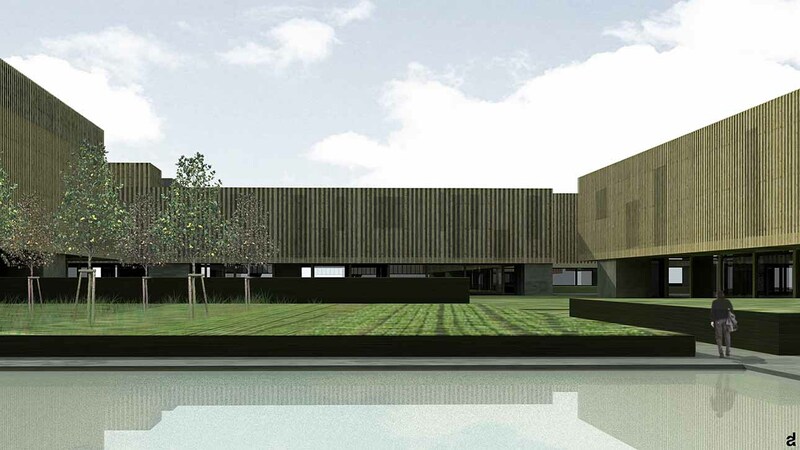 On the western edge of the lot is positioned the cue of social-housing (90sqm) that relies on the structure of the terraced basement, breaking away from the ground, giving both visual and perceptual continuity between the linear park of La Sagrera and that of the project. In this particular system assume considerable importance public spaces and those of aggregation. 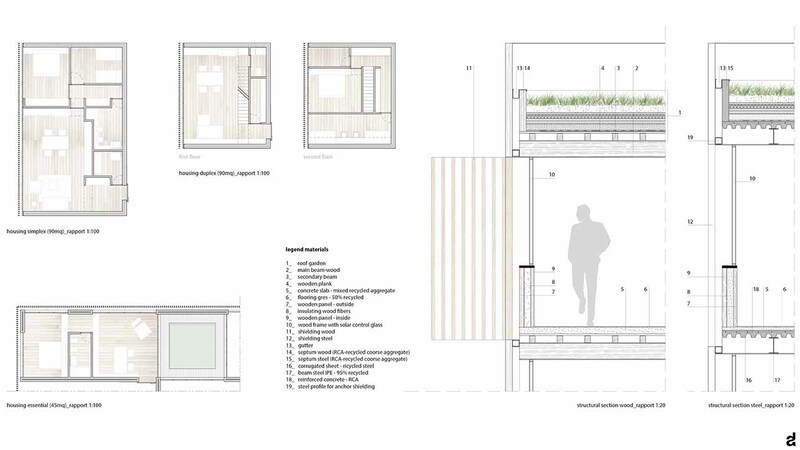 The project idea was to associate the private spaces of individual accommodation areas aggregative semi-private (or semi-public) consisting of paths, rest areas or small hanging gardens which overlook the inputs of housing. These areas, in their turn, are reconnected with public greater dimension. 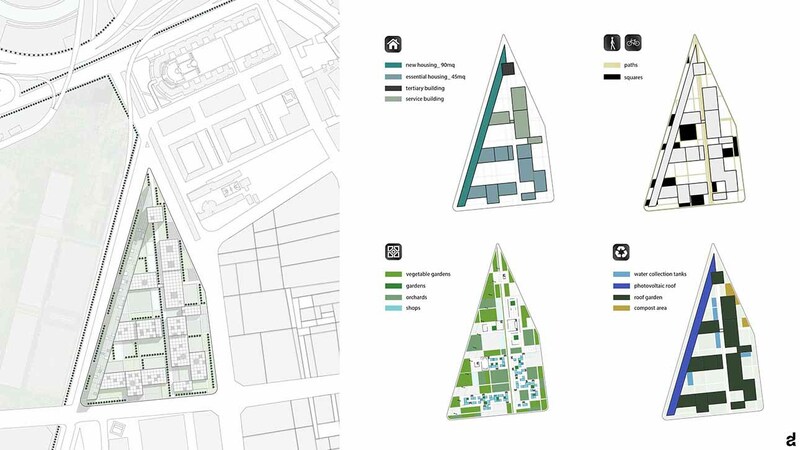 The succession of space areas of private, semi-private and public, put in close relation to each other, represents for us an efficient architecture that can answer to the question of collective life. 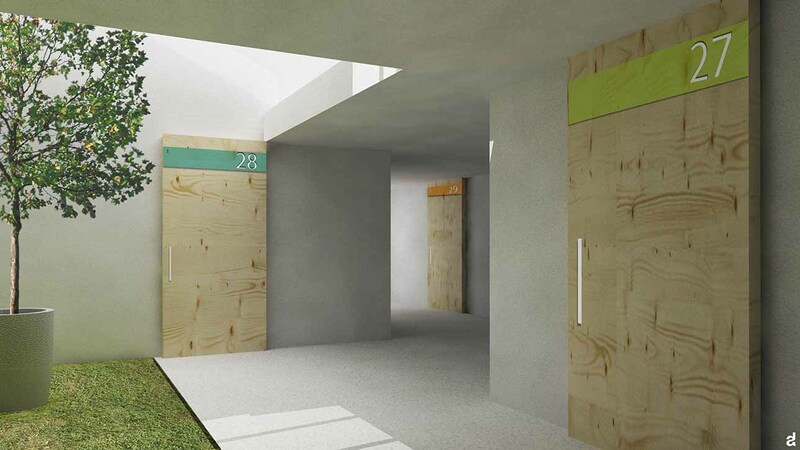 Another important aspect of the project is related to the sustainability of the entire site, which is not so much relatable to the various intervention techniques that can make a place or an eco-friendly, the attitude and behavior of people (stimulated by well-defined spaces in the design phase and innovative techniques and comfortable for those who use it) towards a sustainable living. 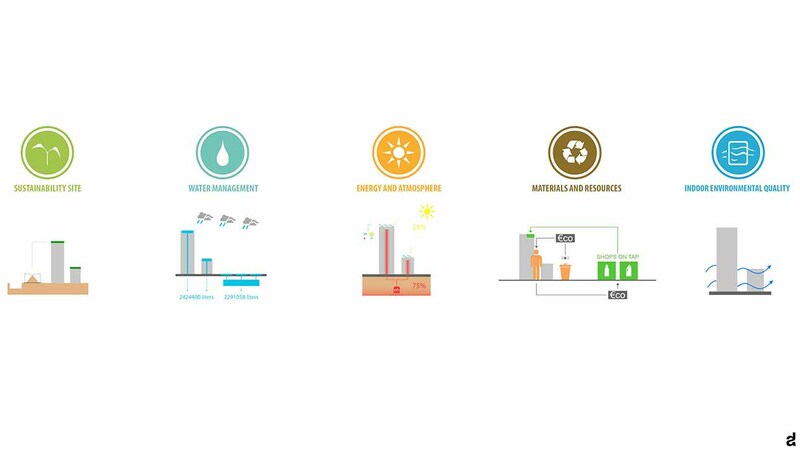 We trigger with our choices of "virtuous" behavior with great results in terms of energy saving and consequent reduction of environmental impact, at virtually no additional cost compared to standard solutions more expensive and even less efficient.